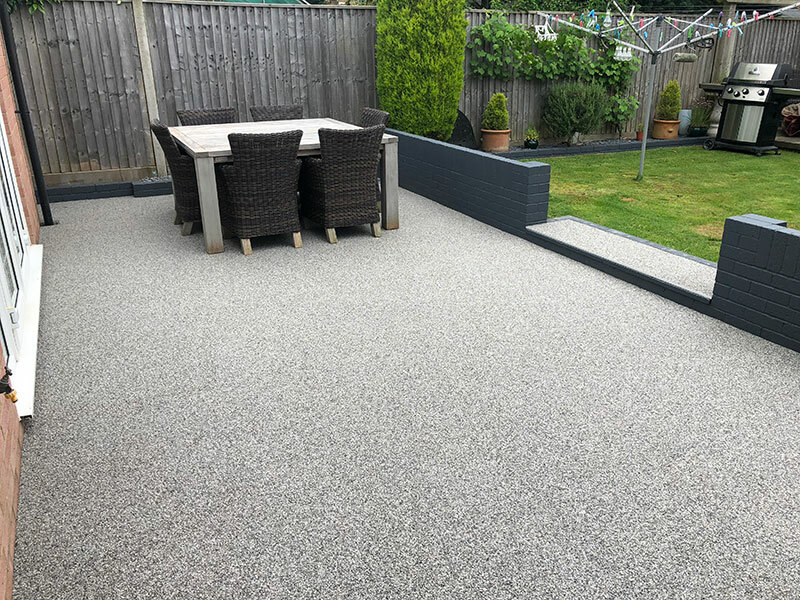 From decking and driveways to garden and landscaping services, choose A1 Resin and Landscapes today for services that enhance your outdoor space. 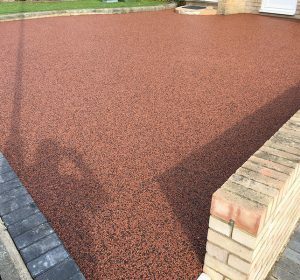 From decking and driveways to garden and landscaping services, choose A1 Resin & Landscapes today for services that enhance your outdoor space. The number one choice for high-quality, affordably priced resin and landscaping services. 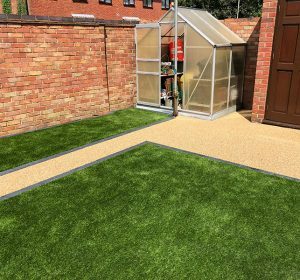 Here at A1 Resin & Landscapes, we are the premier option for those seeking cost-effective resin and landscaping services. With many years of experience and a wealth of expertise to call upon, very few companies can hope to compete with the level of service that we provide. Our fully trained and qualified team share our passion for delivering exceptional workmanship at prices that are highly affordable. Above all else, we are dedicated to ensuring the complete satisfaction of our customers. 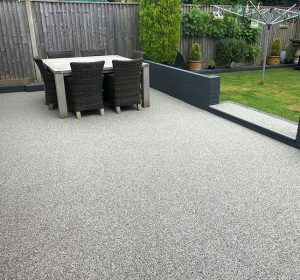 Transform the aesthetics of your outdoor space with the addition of a wonderfully designed resin bound surface brought to you by A1 Resin & Landscapes. 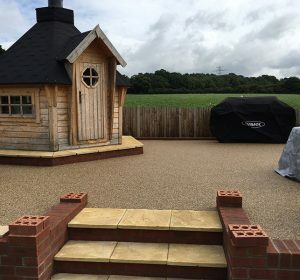 From enhancing the front of your property with a new driveway to adding a patio connected by a winding path, you simply cannot go wrong with resin bound surfaces. 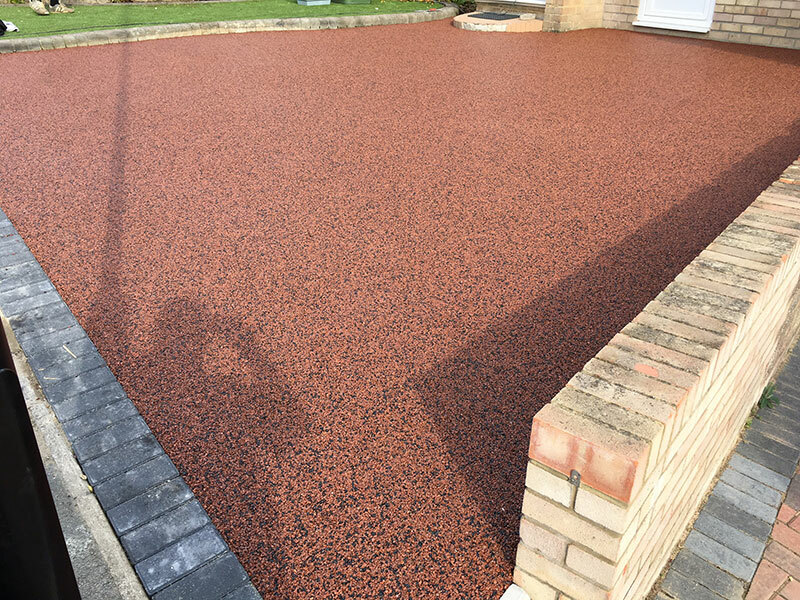 This highly durable option is as versatile and long-lasting as tarmac but is visually superior thanks to the wide range of aggregates available. 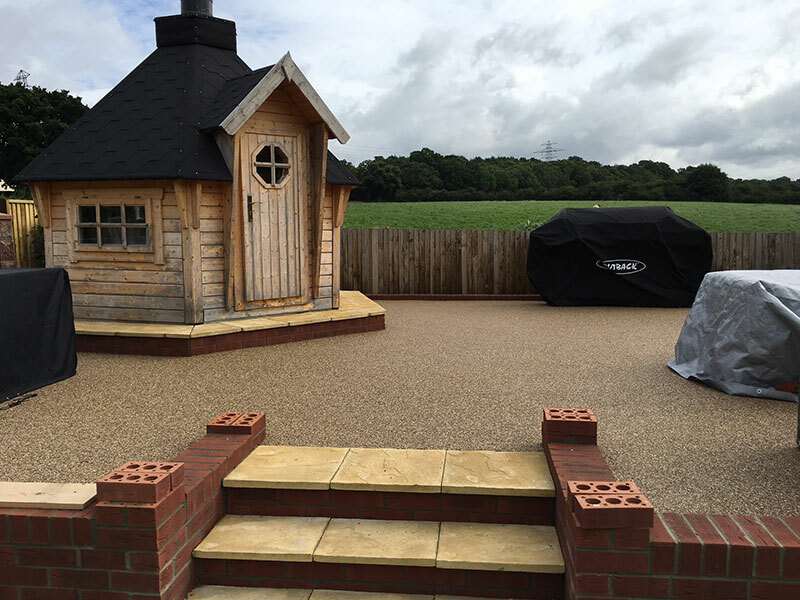 To find out more about our resin bound surfaces, call our team today on 07912 420728. Has your driveway seen better days or is it entirely absent? From restoring existing surfaces to incorporating new ones from scratch, make us your first choice for driveways. Nothing beats the feeling of knowing that you have a safe space to leave your vehicle at night. Investing in a new driveway keeps your car safe, protects it from damage and keeps you from injuring yourself on an uneven surface. 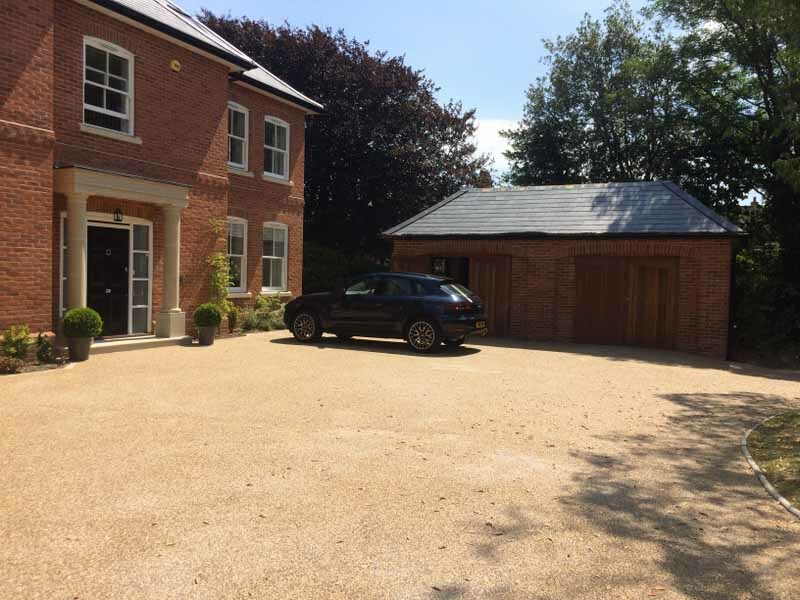 With a driveway designed to your exacting specification, you’re sure to be pleased with the results. For more information, give our team a call today on 07912 420728. 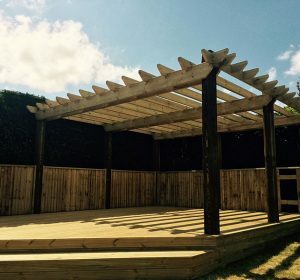 With a gorgeous new patio to grace your garden, you’ll have no excuse not to invite your friends and family over for a BBQ and an evening of entertainment. Add a whole dimension to your home by incorporating a patio into your garden space. With a wide range of colours, styles and tile shapes to choose from, the only limiting factor is your imagination. A patio will serve a practical function as well as enhancing the aesthetics of your outdoor space. Whether you’re looking to relax with a book or to host a get together, you cannot go wrong with a new patio. Build your own place of solitude and pursue your hobbies and interests in the privacy of your own personalised man cave – built to your exacting specifications. Man caves are all the rage nowadays with many homeowners looking to adapt an area of their home for the pursuit of their hobbies and interests. With a man cave, you’re free to do what you like, when you like without worrying about disturbing the rest of the family. Fancy learning an instrument? Or staying up until 2 am playing video games? Wherever your interests lie a man cave is a must-have addition to any home. Make the most of your garden space by creating an outbuilding designed to fit your lifestyle. From garden sheds to summerhouses, bring the indoors – outdoors! The garden is an extension of your household. 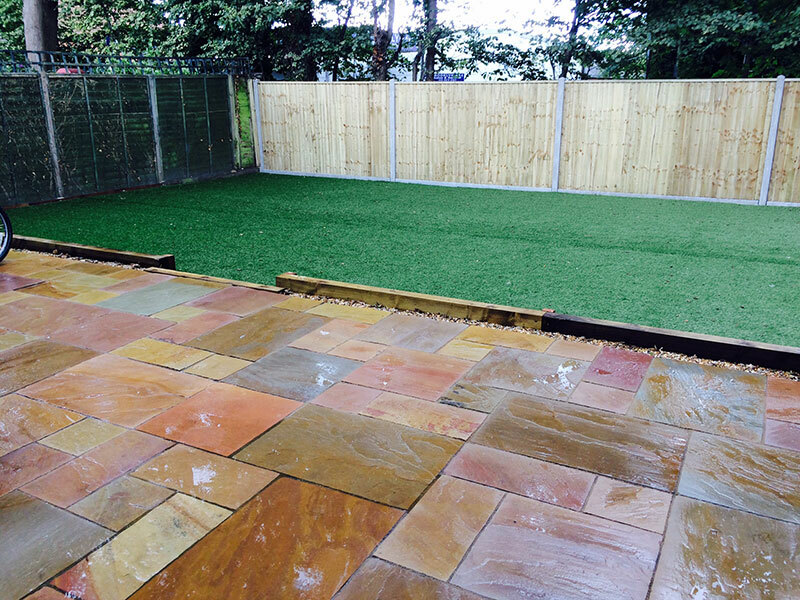 At A1 Resin and Landscapes, we provide a service to help you fully utilise your outdoor space. 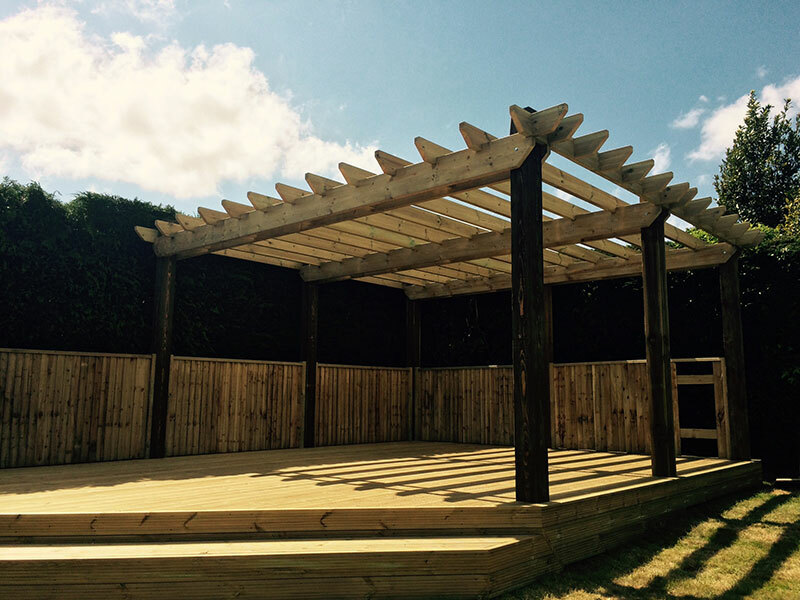 Every outbuilding that we create is designed with your specifications in mind. Whether you’re after an office space or a place to relax with the family, we can design an outbuilding that’s right for you. Define the boundaries of your home and add a whole new dimension of privacy and security with high-quality fencing from A1 Resin and Landscapes. If you’re looking to keep your garden secure and away from prying eyes, then you should speak to A1 Resin and Landscapes today. With many years of experience supplying and installing high-quality fencing, we are sure to be able to provide you with a fence that is in keeping with your needs. Our fences are available in a wide range of styles, colours and sizes, so call us today to find out more about what we can do for you. Say goodbye to mowing and de-weeding your lawn when you invest in artificial grass for your property! 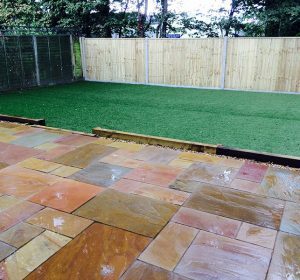 If you lack the time to maintain your lawn, then artificial grass is the perfect choice for you. 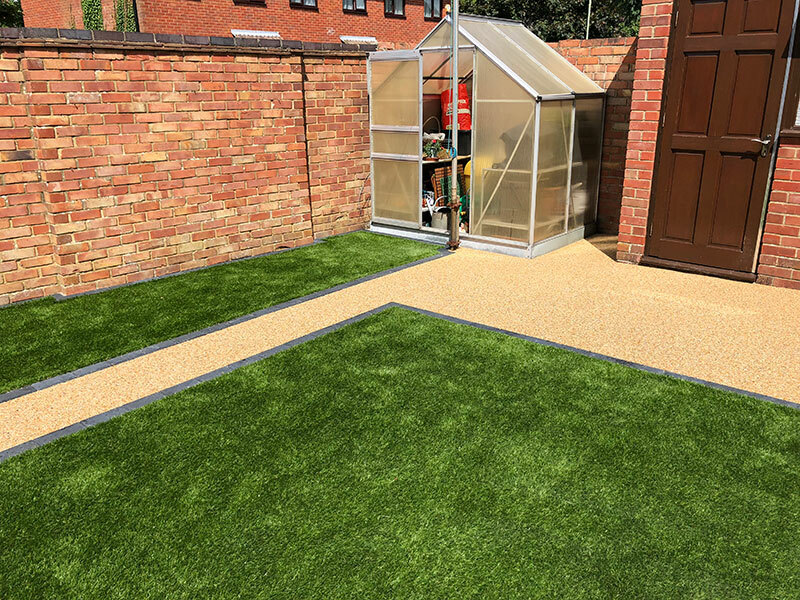 Unlike real grass, artificial grass never requires cutting, de-weeding or watering and won’t die off during a heatwave or cold snap. It is also highly durable making it an excellent choice for homeowners with children or pets. Discover a wonderful alternative to timber decking which provides all the great benefits without any of the upkeep. If you’re in the market for new decking but don’t fancy splashing out on timber decking, you’ll be pleased to hear that composite decking is an affordable alternative. Composite decking boasts all of the great features of timber decking, is easy to install and is highly resistant to rot and insects. Best of all is that it looks exactly like the real thing! With the premium appearance of real timber, your decking will be the envy of your friends and family. Timber decking might require a little more upkeep than composite decking but it’s certainly worth it. Nothing beats the exquisite detail of real wood decking from the natural swirls and patterns to that real wood texture. 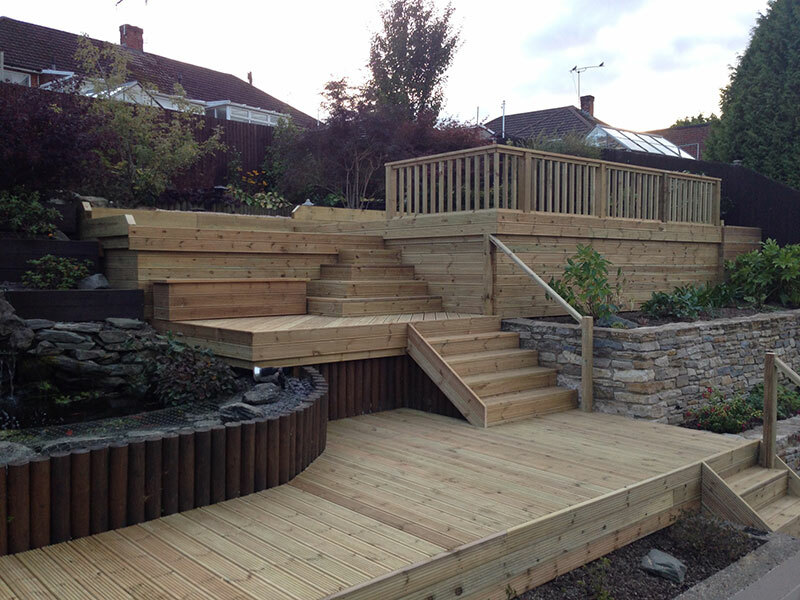 At A1 Resin and Landscapes, we’re the number one choice for timber decking that is of the highest quality. Transform your garden into your own little private sanctuary by enlisting our incredible garden services. If your garden is in desperate need of a little TLC, look no further than A1 Resin and Landscapes. From breathing new life into a garden that has seen better days to maintaining one in all its glory we are the company to call. To keep your garden looking its very best, speak to our professional team today. For more information, give us a call on 07912 420728. Say hello to the garden of your dreams, courtesy of A1 Resin and Landscapes. If you’ve ever envisioned how your dream garden might look but lack the time or skills to make it happen, we are here to help. We have years of experience in transforming gardens and know just how to combine hard and soft landscaped features to achieve the best results. In no time, you’ll have the garden you’ve always imagined having, designed to your exacting specifications.